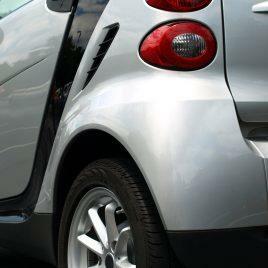 Make the smart choice for Smart Car repairs throughout Portland. Smart Cars are incredibly maneuverable and perfect for metropolitan areas. Just because you only do city or weekly driving doesn’t mean you don’t need a reliable Smart Car repair shop. 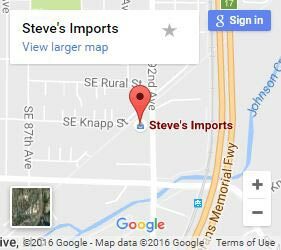 At Steve’s Imports we deliver complete auto repair and maintenance services to keep your Smart Car moving. 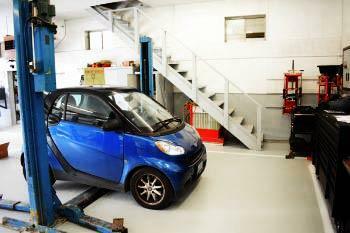 As a younger vehicle in the international market, we typically provide manufacturer recommended servicing for Smart Cars. Our experience with German vehicles and Mercedes-Benz, in particular, makes our technicians well equipped to meet your Smart Car needs. Whether you drive a Smart Roadster, Fourfour, or Fortwo, we have your vehicle covered. Getting the most from your Smart Car means maintaining your great gas mileage. We can keep your MPG intact with regular oil changes, alignments, tire balancing, and filter changes. Did you know, that Smart stand for Swatch Mercedes Art? With the Smart Car being a vision that was cast by Swatch, the watch making company, and then executed by Mercedes. The name given properly reflects the collaboration between the two companies that created the amazing Smart Car which originally was an idea developed by CEO Nicolas Hayek back in 1982! I suppose some good ideas were meant for a later time. Daimler AG recommends that you schedule maintenance procedures for your Smart Car every 10,000 miles. Because Smart Cars were first introduced to the U.S. market in 2006, there hasn’t been extensive problem patterning. Though we haven’t seen systemic problems in Smart Cars, users have reported breakdowns and clutch/transmission issues regularly online. Since problem data is scarce, it is even more important to bring you vehicle into a trusted mechanic. We regularly work with Mercedes-Benz and German vehicles. The skills and knowledge this provides are technicians easily translates to the Smart Car, and we can provide repairs for any problem you encounter. Contact us for Smart Car repair in Portland today. The best way to keep your Smart Car in great shape is with active maintenance. As budget-minded vehicles it can really pay in the long run to avoid costly repairs. Simple services like regular maintenance checks, oil changes, and fuel filter changes can help your vehicle to last well beyond your expectations. As always, we’ll help you prioritize any repairs that may be needed, treat your vehicle with care, and provide the affordable Smart Car repair you’ve come to expect no matter what model you drive. Just call or contact us today to get started.